Two things that I really like are history and LEGO. The combination of the two makes it all the better! 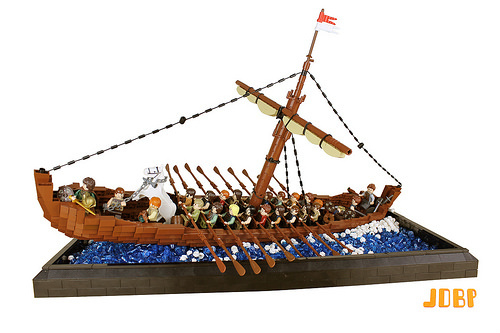 James Pegrum, creator of the long running LEGO series History of Britain shows us his latest awesome historical LEGO build portraying King Rædwald returning home after a battle. Apparently the battle didn’t go too well. His dead son is on the same boat heading to the burial mounds. Better luck next time, Rædwald! The builder says his longboat was inspired by the 4th-century Nydam Boat excavated in Denmark and the 7th-century ship-burial at Sutton Hoo in England. On a side note, this is an entry to the Medieval Ships category of this year’s Colossal Castle Contest.